It was announced today that TenneT, as onshore and offshore transmission system operator, will connect 6.1 gigawatts of new offshore wind farms to the Dutch high voltage grid between 2024 and 2030. TenneT will be using cost-efficient and future-proof technologies for this and the surroundings and environment will be spared as much as possible during construction. With his letter to the Lower House of Parliament, the Minister of Economic Affairs & Climate (EZK) took an important step today in implementing the roadmap for the development of offshore wind energy up to 2030. EZK has given TenneT the responsibility to connect a total of 9.6 GW*). 5.6 GW of this will be connected to alternating current (AC) connections and 4 GW to innovative direct current (DC) connections. Together with the already operational offshore wind farms, the offshore wind power capacity will reach 10.6 GW by 2030. This is equivalent to almost 22 times the capacity of the Borssele nuclear plant. *) 3.5 GW (up to 2023) according to the Energy Agreement, 6.1 GW (2024-2030) according to the offshore wind power roadmap 2030. The wind power areas Hollandse Kust (west) and Ten Noorden van de Waddeneilanden will benefit from TenneT’s standardised AC-concept with offshore electrical substations of 700 MW. These pool the electricity from the wind farms. 220-kV cables then transport the wind electricity to the coast. In the IJmuiden Ver offshore wind energy area, two direct current connections (comprising cables and converter stations) will be used; for the first time in the world with a 2,000 MW (2GW) capacity. The cables will have a 525 kV (525,000 V) voltage level. This makes optimum use of the area's scale and also corresponds with the wind industry wishes for larger wind farms. For a larger capacity of 2 gigawatt, just two instead of six cables are needed (lower costs) and this also takes up less space. Fewer routes will be required onshore and therefore the environment will be spared as much as possible. The step to realising 2 GW power connections is possible because of TenneT’s unique experience with HVDC network connections in Germany *). 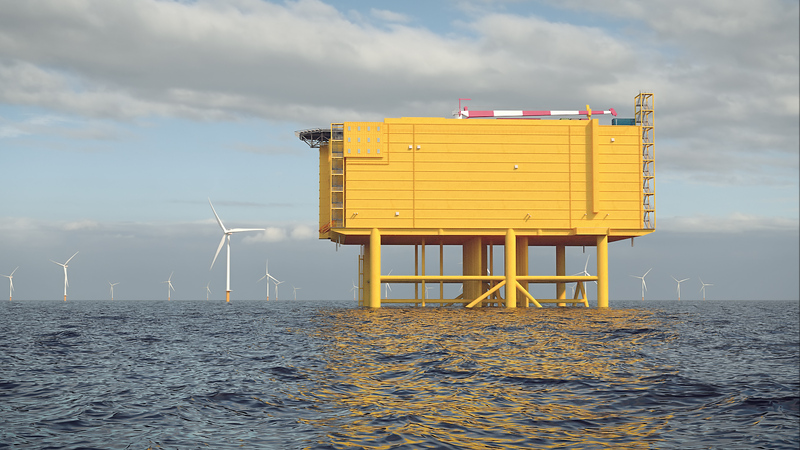 There, TenneT is connecting large-scale offshore wind farms based on direct current. Direct current cables of 2 GW on land also form the basis for the yet-to-be-constructed SuedLink and SuedOstLink . TenneT is using the high voltage level of 525 kV for the new international connection between Germany and Norway, NordLink. In connecting the wind farms at IJmuiden Ver, two 2 GW offshore converter stations will be constructed to convert the alternating current generated by the wind farms into direct current. This technology prevents transmission losses. On land, converters will then convert the direct current into alternating current for further transmission and distribution to companies and households. Connecting to the most sensible points in the grid can also prevent large investments in the national high voltage grid. The offshore converters and wind turbines at IJmuiden Ver (approx 80 km off the coast) will not be visible from land. 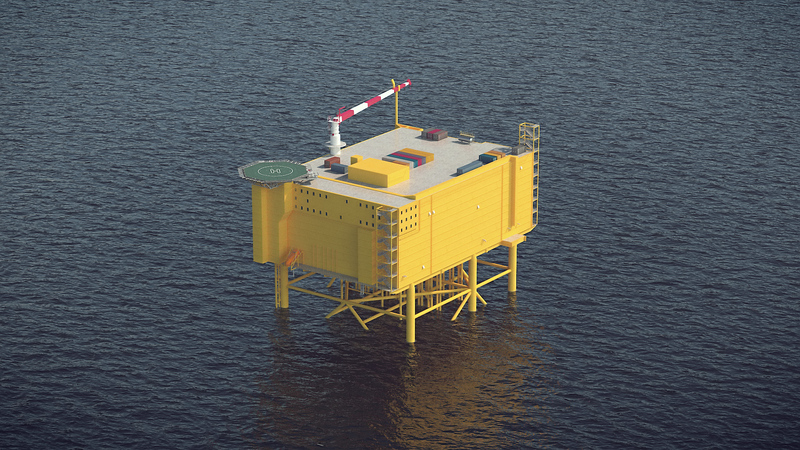 As well as this innovative connection concept, TenneT is taking its responsibility as offshore transmission operator by working on solutions to utilise the infrastructure more efficiently. 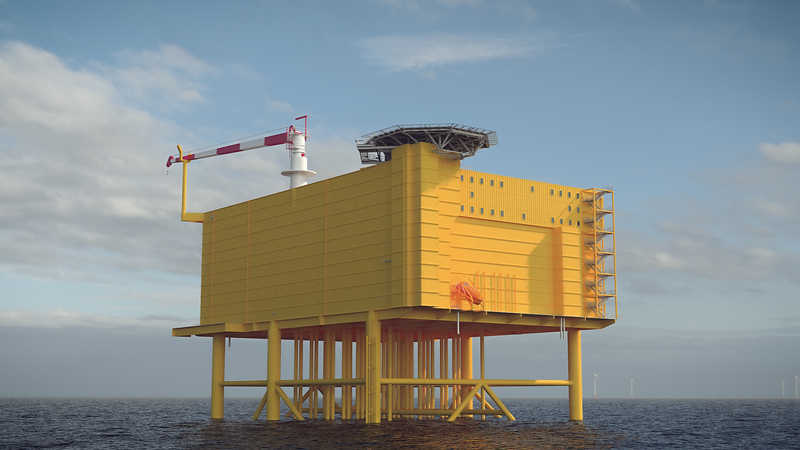 In that light, TenneT is investigating, together with the gas sector and in consultation with the Ministry of EZK, whether the energy needs of offshore gas platforms can be provided with sustainable electricity via a connection to the offshore grid. A connection from IJmuiden Ver with the United Kingdom that can also be used as interconnection (WindConnector) when there is less wind can contribute to a more efficient use of the infrastructure.